City officials say the current Igloo is outdated and needs to be replaced. 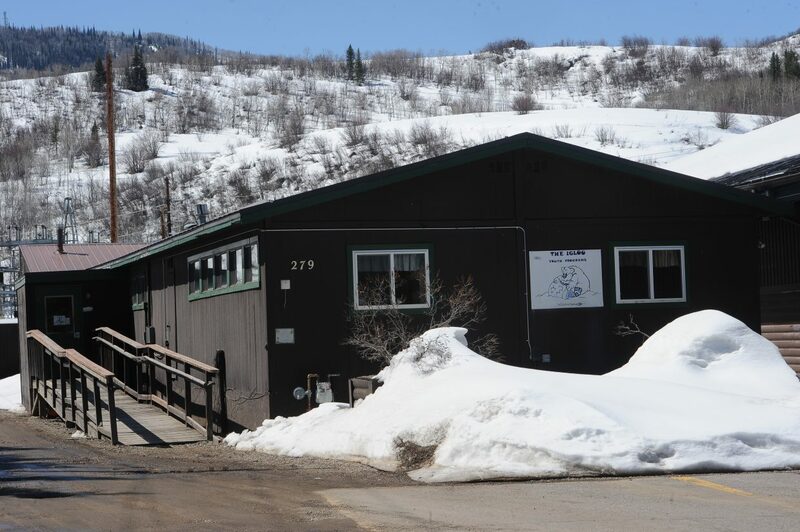 STEAMBOAT SPRINGS — The city of Steamboat Springs is hoping someone will find a new use for an old modular building that has hosted a lot of play time and learning in its life as a child care center. The building, known affectionately as “the Igloo,” needs to be moved to make way for a planned expansion of the Howelsen Ice Arena that is scheduled to start in early June. City officials say the programming that was scheduled to happen in the Igloo will take place in other locations after the building is moved. In a call for bids for the Igloo, the city wondered whether it could be used by someone else as a place for storage, a workshop, a hunting camp or something else. The 1,560-square-foot modular building comes with a 675-square foot mechanical building, commercial lighting, bathroom fixtures and appliances including a stove, dishwasher and refrigerator. The building is also wired for a fire alarm system. Lind said the building was built in 1980.
Letters of interest for the building are being accepted through April 19. The structure will have to be moved from the property no later than May 25. Bids can be submitted to Shelly St. Pierre, Senior Procurement Agent, City of Steamboat Springs, PO Box 775088, Steamboat Springs, CO 80477-5088, or dropped off at City Hall at 137 10th Street. The city’s quest to replace the Igloo structure generated some controversy last year when the cost to replace the building kept climbing and ended up just below $1 million. The city council pulled the plug on the project due to the rising cost and a community outcry against ordering a new modular. In the aftermath of the cancellation of the new Igloo, the city has been exploring the potential of creating a new teen center and youth programming area at Howelsen Ice Arena. Lind said the removal of the old Igloo will also serve as the kickoff for a project to expand the Howelsen Ice Arena and add a second sheet of ice. Work on the new Craig-Scheckman Youth Sports Facility is scheduled to start in June. Lind said the initial phase of the project will include rerouting utilities in the area. He said about $2.5 million has been secured for the project, a total that includes a $1 million donation from Michael and Sara Craig-Scheckman and about $600,000 in private fundraising. The city council dedicated $900,000 of lodging tax money for the project. Lind said the buildout of the second sheet of ice, which will be covered and utilized as a sports practice field outside of the winter months, is still dependent on fundraising efforts.